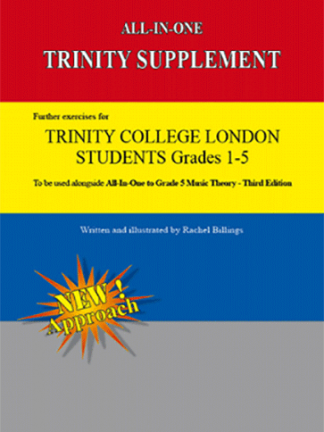 The All-In-One Trinity Supplement book should be used by Trinity College London students alongside All-In-One to Grade 5 book- THIRD EDITION ( Paperback, 26 pages). 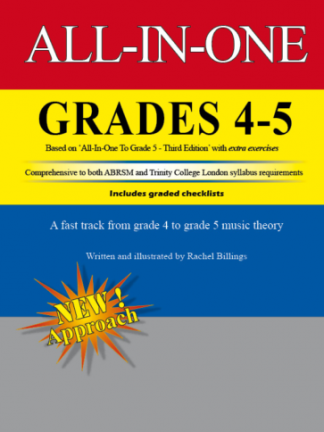 The All-In-One Trinity Supplement booklet belongs to the All-In-One series of music theory books and should be used by Trinity College London students alongside All-In-One to Grade 5, 3rd EDITION. 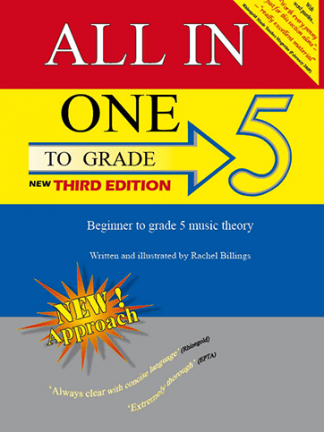 Please note this booklet is NOT necessary for Associated Board (ABRSM) students or for any student using ‘All-In-One: Grades 1-3’ or ‘All-In-one Grades 4-5’ book because the same information is already contained in the Appendixes of these books. Topics include include ostinato, sequences, natural minor scale, pentatonic scale, inverted intervals, arpeggios, broken chords, writing 4 part-chords for SATB, 7th chords and adding a bass line to a tune or vice-versa, to name but a few. 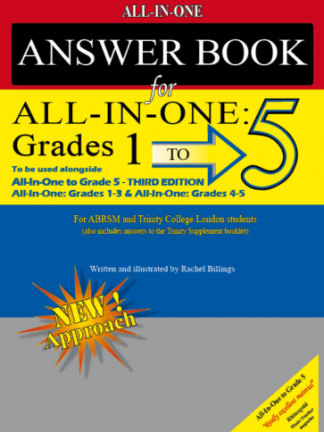 Most of the topics in the Trinity Supplement are closely related to those found in All-In-One to Grade 5. 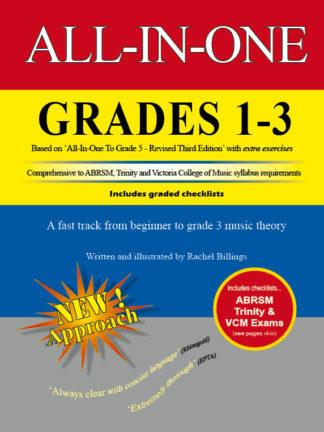 Therefore a student who has studied the Tonic Chord and Chord Inversions in All-In-one to Grade 5 book will have no problem understanding Broken Tonic Chords in the Trinity Supplement booklet. Anyone with knowledge of Diatonic Intervals (main book) will find it easy to understand Inverted Intervals etc. There are many such similarities between topics studied in the Trinity Supplement booklet and those found in All-In-One to Grade 5. 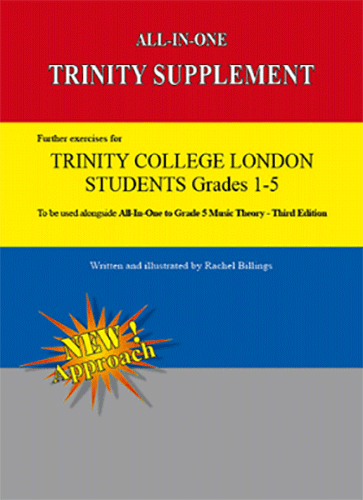 This means that the Trinity Supplement booklet is the next logical step for any student who already owns All-In-One to Grade 5 book and has an interest in music theory. It is primarily designed for Trinity students because of syllabus requirements although it will benefit any student who doesn’t mind exploring subjects beyond ABRSM requirements. To read professional and customer reviews please click here. Click here to read information about Trinity music theory exams.